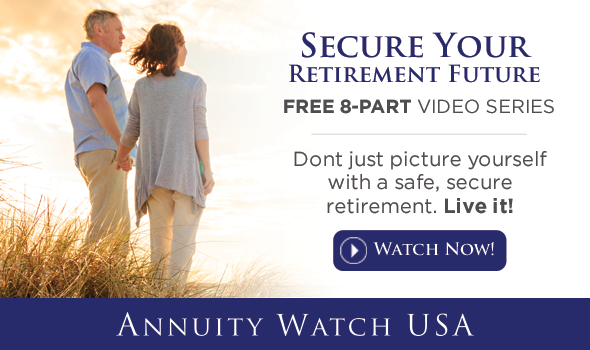 To fully understand annuities, you really need to see our free video series “Securing Your Retirement Future”. The series is designed to educate you on fixed index annuities – how they work and how you can use them as part of your retirement planning. The beauty of the fixed index annuity is that despite the economic turmoil we have been enduring over the last twelve years, our annuity clients have not lost a penny due to stock market volatility. Did you catch that? Our annuity clients have not lost a penny despite the ups and downs in the stock market. Just click the banner below, sign up, and view the series at your convenience. If you have any questions or would like to set up an appointment, feel free to give us a call at (972) 473-4700. To stay up-to-date on what is going on in the world of annuities, tune in to Safe Money Talk Radio each weekend!